Marston and I are glad that you dropped by. We hope you enjoy visiting with us as we help you get to know us better. 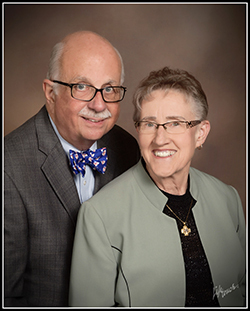 We share many interests: family, internet technology, a love of genealogy, church and volunteerism. We absolutely had to have a presence on the internet, and this is it! A major interest of ours is genealogy, the study of our ancestors. At this site, you will find Watson and related families from Marston's side and Todd and related families from Kathy's side. Each of us has spent a significant amount of time researching and documenting our family history. You will not find all the details of our research, we had to leave some of the fun up to you! Feel free to contact either of us if you feel we can help you with one of the families you find on our site. We have chosen to include many family photos, to introduce you to us and our extended family. Enjoy the site. Your comments are welcome! 03/5/10 Who Do You Think You Are?